It’s October which means time to share the next block from Heartland Heritage. 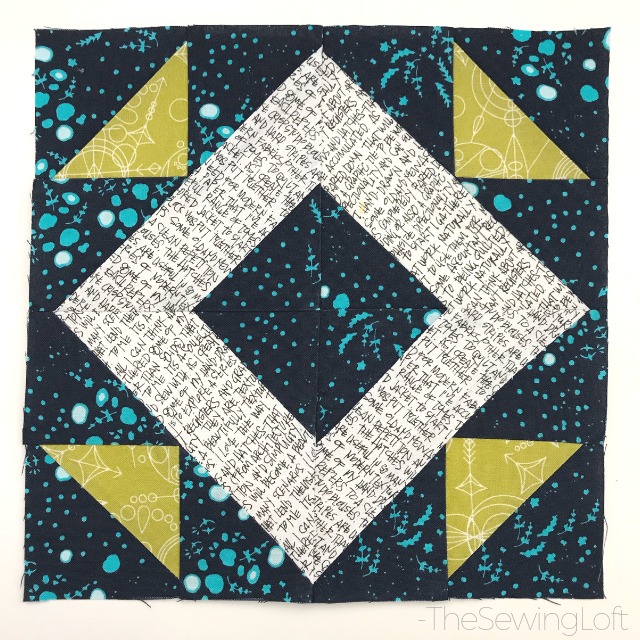 This spotlight quilt block is perfect for adding a splash of color to your world! Since now we are all experts at the HST’s game, this month’s block is gonna be a breeze! **See the Willow Tree Block from last month here. The block finishes 9″ square and uses 3 different fabrics. To keep it fun and fresh, I used my background fabric as the focal point. 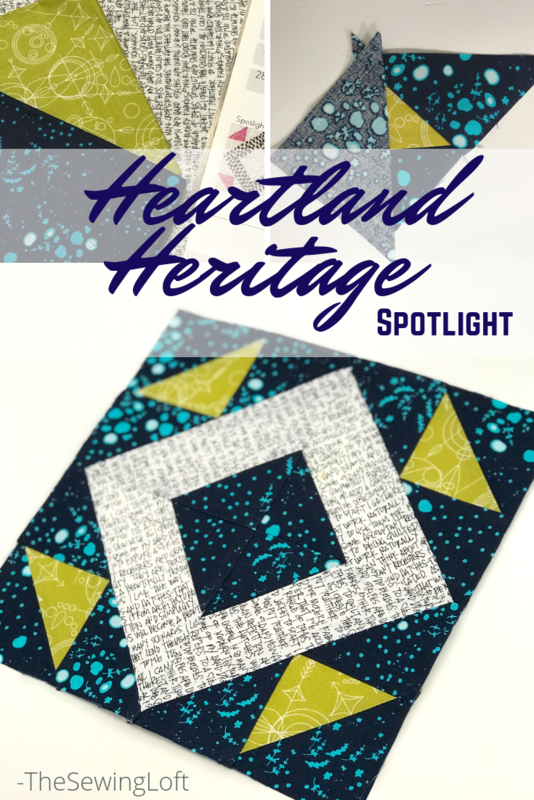 Throughout the Heartland Heritage quilt along, I have chatted about key tips for HST’s. 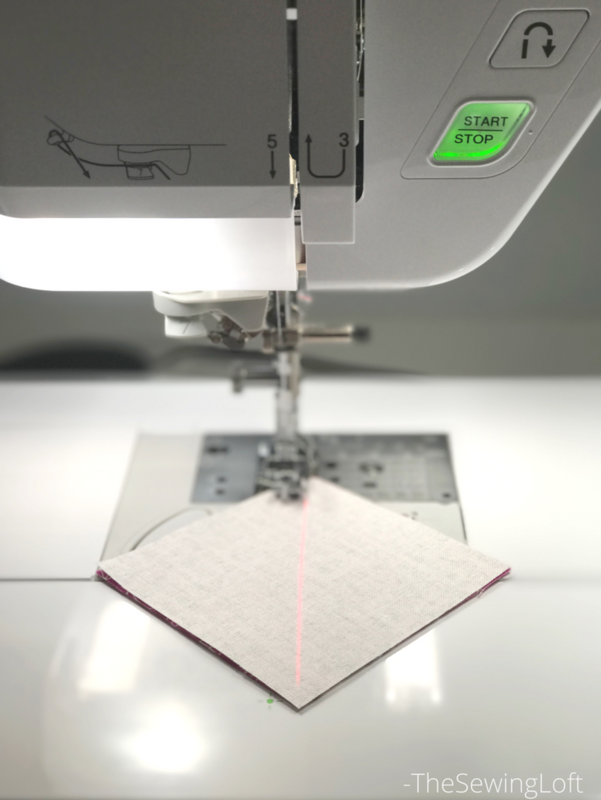 They include: laser guide beam, 1/4″ seam allowance and my favorite ruler for the job! Trimming these babies is truly a breeze with the Clearly Perfect Slotted Trimmers ruler. One look at my quick video and see what I mean! We all know it’s best to trim as we go but another great tip for easy assembly on this block is pressing. Following the instructions included in the pattern will help ensure that your finished seams nest and lay flat. 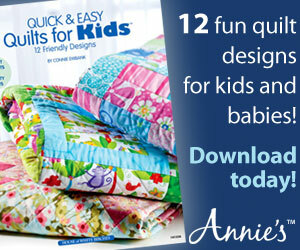 For anyone sending their finished quilt out for long-arm stitching this is key. Trust me when I say, they will thank you! It’s hard to believe that we only have 2 more blocks to make on the Heartland Heritage quilt. That means it’s time to start thinking of our next one! Introducing Sew Hometown. 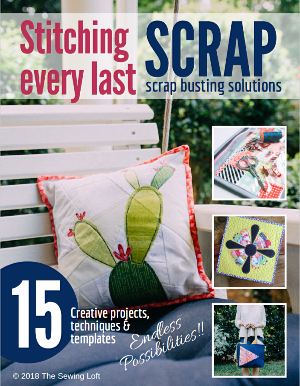 It’s the perfect project to keep you stitching all year long! 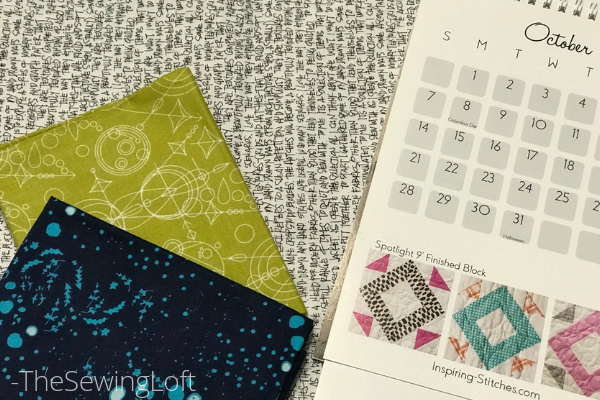 Now, before you head off to make your spotlight blocks be sure to check out Amy’s tips for this month’s block. Then you are good to go! 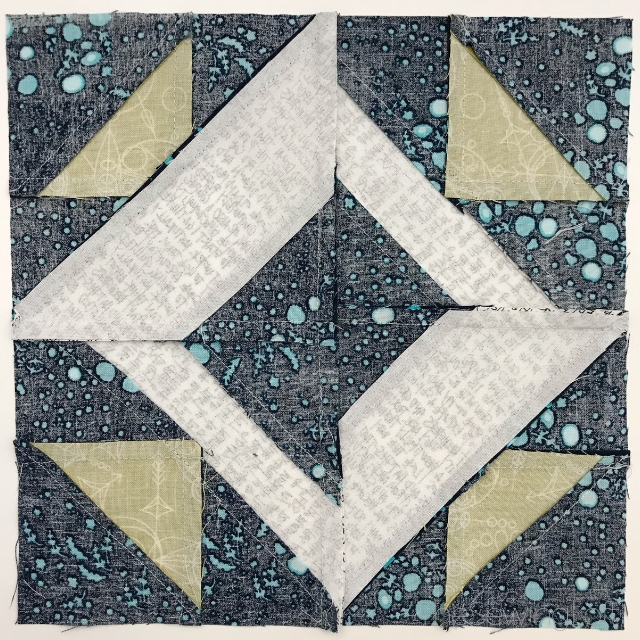 To complete the Heartland Heritage quilt pattern you will need to make 5 blocks and we would love to see them. Be sure to share a picture of your finished Spotlight quilt blocks with us here.